Having a reliable OBD2 scanner is all a car owners or DIYers’ dream. 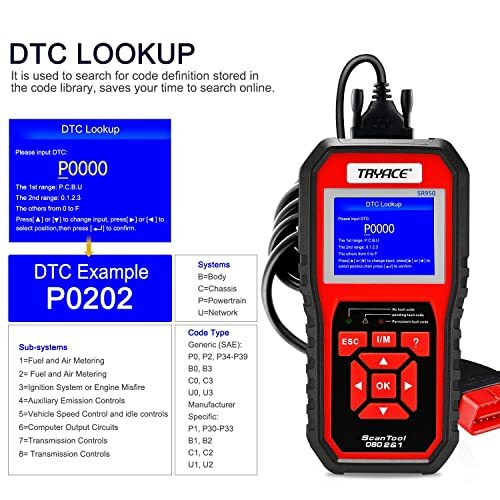 TryAce SR950 OBD2 Scan Tool will help you all. 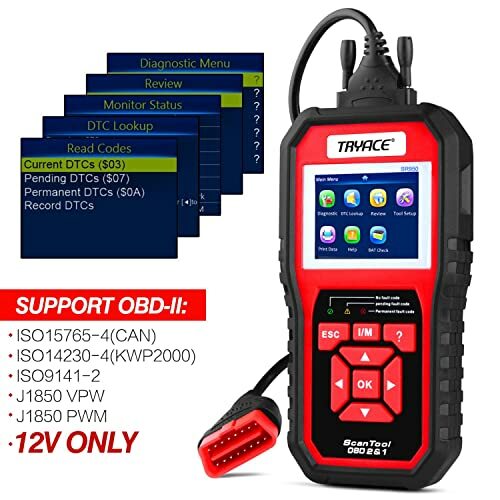 The TryAce SR950 OBD2 scan tool is one of the most accurate and reliable scanners. If you are any car owner or DIYers, the TryAce SR950 scanner can help you cut the cost of repairs significantly. To better understand why TryAce SR950 is a trusted scanner, read this comprehensive review. Before taking your vehicle for the annual emission test, it is always advisable to perform I/M readiness test. This will save you the trouble of having your vehicle rejected after failing the emission test. 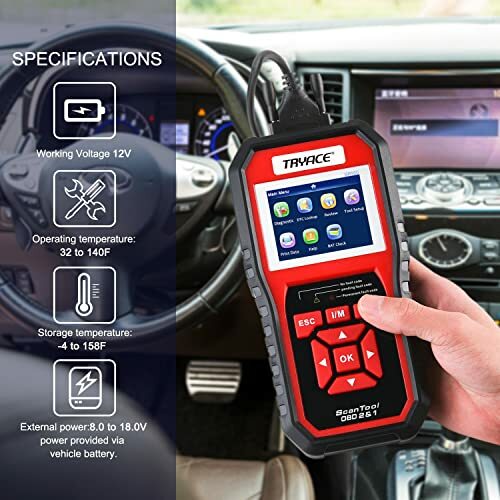 TryAce SR950 scanner is a first choice OBD2 scanner for performing I/M readiness test. You will be able to test up to 11 emission-related systems using this scanner. Some of the systems that can be comprehensively tested using TryAce SR950 include oxygen sensor and catalytic converter. Some of the systems that can be comprehensively tested using TryAce SR950 include oxygen sensor and catalytic converter. Other systems include secondary air system, air conditioner system, heated O2 sensor, heated catalytic, and spark plug. All these I/M readiness tests are performed with one click. It is incredibly effective. In order to obtain an accurate I/M readiness reading, you need to perform no-load racing for at least 15 seconds. It takes more than the normal plug-and-play when performing I/M readiness test using TryAce SR950. When it comes to accurate diagnosis, you can always count on TryAce SR950. You will be able to perform even the seemingly complex diagnosis easily and accurately. The DSS functions include reading and clearing DTCs, reading system dynamic DataStream, reading VIN, and turning-off MIL. 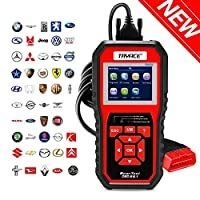 Although this is a professional OBD2 scanner you will be surprised to know that even an average car owner can use it comfortably to diagnose his car. This is because it has step-by-step on-screen instructions as well as the definition of Diagnostic Trouble Codes. The DSS functions that can be performed effectively using TryAce SR950 include reading and clearing DTCs, reading system dynamic DataStream, reading VIN, and turning-off MIL. Basically, it will take care of most of your scanning needs. One major limitation of this scan tool is that it does not support Airbag and ABS tests. 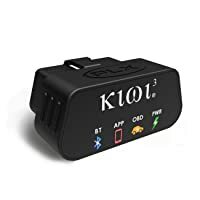 You will only incur the initial cost of buying this OBD2 car diagnostic tool and thereafter you will be able to access everything else for free. This is because TryAce SR950 comes with a lifetime free update. It is advisable to update your software regularly. This will help to fix existing bugs as well as add new diagnostic parameters. When you need to update the software, connect the OBD2 scanner to your PC and download the software. Use the cord available to connect your PC and the scanner. Once you have established a connection download the software. Follow the easy on-screen instructions on how to update the TryAce SR950 software. When you need to update the software, connect the OBD2 scanner to your PC and download the software. You will not be able to update the software using MAC. TryAce SR950 excels beyond expectation when it comes to compatibility. You will notice that it supports nearly all vehicles manufactured in the USA from 1996 and all other later models. Also, you can scan all the OBD 2 models using this scanner. ISO9141, and CAN ISO 11898. When it comes to software, SR950 is compatible with most of the windows software. And if you are not proficient in a given language, you can switch to another language as it supports up to 8 languages. Support all U.S car manufactured from 1996. TryAce SR950 does not support the Airbag, ABS and Oil reset functions. Possible Connection Problem with iPhone 6S/X. 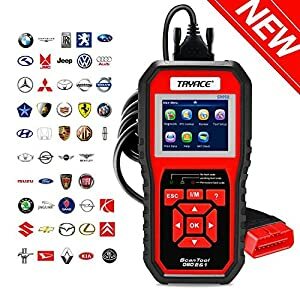 Bottom Line TryAce SR950 OBD2 Scanner is great for car owners or DIYers. 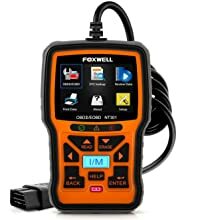 The FOXWELL NT301 OBD2 scanner is a good choice for average car owners or car enthusiasts. PLX Devices Kiwi 3 is for DIYers and car owners with an iOS, Android, and/or Windows device. If you are a mechanic or a professional tech then TryAce SR950 is primarily built for. However, it comes with incredible ease of use. As a result, such the scanner can be used by DIYers and even average car owners. OBD2 scanners are here to stay as they currently play an important role in vehicle maintenance and repair. However, not all scanners function in the same way. TryAce SR950 is a professional scan tool that can perform basic and advanced functions. The most amazing thing is that you can establish your emission status with one click while using the TryAce. It will check all the 11 emission tests accurately. The good news is that you can get it in an affordable price. TryAce SR950 is a scanner what you can recommend to your friends or colleague with a lot of confidence. CAN BUS in full is a controller Area Network used in most vehicles to connect ECU’s together with corresponding sensors. Take a closer look at it now.